On October 2, 2016, I participated in a conference on possibility for democratization of China at New York University. 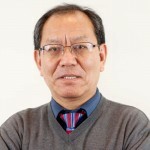 There were scholars on China, Chinese-American academics, Tibetans, Uyghurs, and some of the top names in the Chinese democracy movement, including Tiananmen veteran Wang Juntao and writer of Fifth Modernization Wei Jingsheng. The conference was convened by Prof. Ming Xia of New York University and Mr. Chin Jin of the China Democracy Forum. In my presentation I made a case on why Tibet matters in this discourse by Chinese democracy advocates. The Chinese Communist government has failed, and continues to fail, in understanding Tibetan aspirations. It is for this reason that even after virtually 60 years of occupation, the leadership in Beijing has not been able to gain the trust of the Tibetan people. The Chinese democrats should not commit the same mistake. Secondly, although the Tibetans in Tibet have been living under an authoritarian regime, the small, but critical number of Tibetan Diaspora, has been undergoing a unique experiment in borderless democracy. 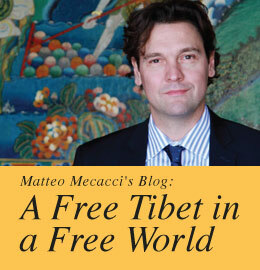 In the process, Tibetans are gaining much experience in the intricacies of democracy, both good and bad. This experience is something that the people talking about democratization of China can look at and learn from. His Holiness the Dalai Lama, who has been the proponent of Tibetan democracy, developed his thinking, monitored the changing circumstances of the Tibetan Diaspora, and introduced pertinent changes in stages. The process began in 1960 with the Dalai Lama introducing the concept of representative democracy by asking the Tibetans to elect their deputies to a Parliament that would have a say in the governance of the Tibetans in exile. He then followed it up a few years later with the promulgation of a draft constitution for future Tibet, thus introducing the concept of rule of law. Much to the consternation of the Tibetan public he mandated that this constitution have an impeachment clause to be applied to the Dalai Lama, if needed. This was a very important message that the Dalai Lama was sending, namely that no one should be considered being above the law. In subsequent years, the Dalai Lama took further steps in empowering the Tibetan people; from enfranchising the people to elect the ministers (who were until then appointed by him); to the drafting of a Charter, specifically to govern the Tibetan Diaspora, which included provision for the establishment of the three pillars of democracy; legislative, executive, and the judiciary. Obviously, given that the Tibetan Diaspora does not operate from their own homeland these were adapted to the prevailing situation. The most significant change took place in 2011 when the present Dalai Lama not only gave up all his political authority in favor of an elected Tibetan leadership, but also virtually removed the institution of the Dalai Lamas from all future political roles. Therefore, the Chinese democracy movement needs to discuss how and where the Tibetans will fit in their discourse on the democratization of China. This means thinking about the broader issue of nationalities. Lately, some Chinese scholars and politicians have been talking about a “second generation ethnic policy”, which calls for doing away with virtually all affirmative actions (that are on paper, if I may add) for people considered “minorities”. What is the position of the Chinese democracy advocates on this? What do they feel about the concerns of the Tibetan people? They should also learn from the Dalai Lama and his vision for Middle Way Approach to resolve the Tibetan issue. In this it will be beneficial for the Chinese democrats to understand the Dalai Lama’s role, not only on the Tibetan issue, but also his impact on the broader Chinese community. In summation, Chinese democracy advocates need to address the aspirations and concerns of the Tibetan people if they are to be part of the democratization of China. It would be counter-productive to take people like the Tibetans for granted or to merely see them as part of the community needing some largesse. They need to bear in mind that among Tibetans there is no consensus on their preference for a democratic China for there are those who feel that there may not be much difference. Also, there are voices in the Tibetan community that call for an independent Tibet and discussions need to happen on how they fit in the discourse. In short, the Chinese democracy advocates need to consider the Tibetan people when they are discussing the future, but also take steps to win over the Tibetans in the current discourse. 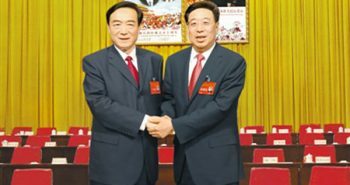 Previous postWould China’s new Party Secretary in Lhasa turn out to be a double-edged sword to Tibetans? 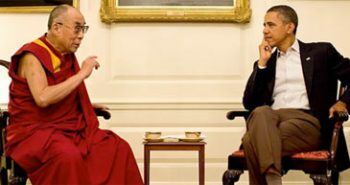 Next postWhat will be President Donald Trump’s Tibet Policy? Well written and I like when it says about the Dalai Lama’s role, not only on the Tibetan People but also the impact he has on the Chinese community. It seems like taking the Middle Way is the Way.